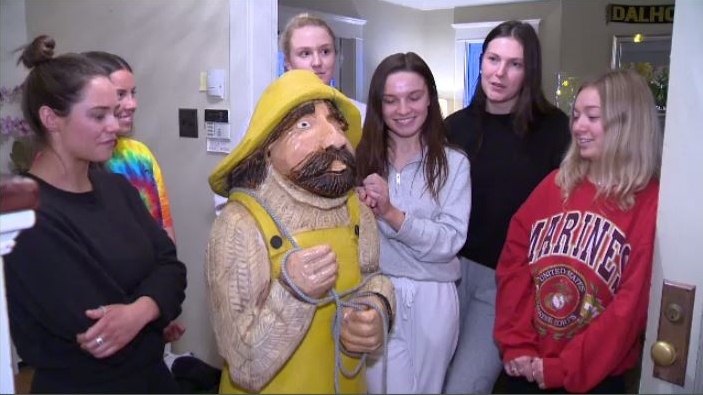 Shorty, the missing wooden fisherman-mascot from Peggy’s Cove, is back home, safe and sound. It's all thanks to a group of Dalhousie University students, who say they “rescued” Shorty from a home on Saturday. Peter Richardson, who is Shorty’s owner, wasn't sure if he would ever see shorty again. 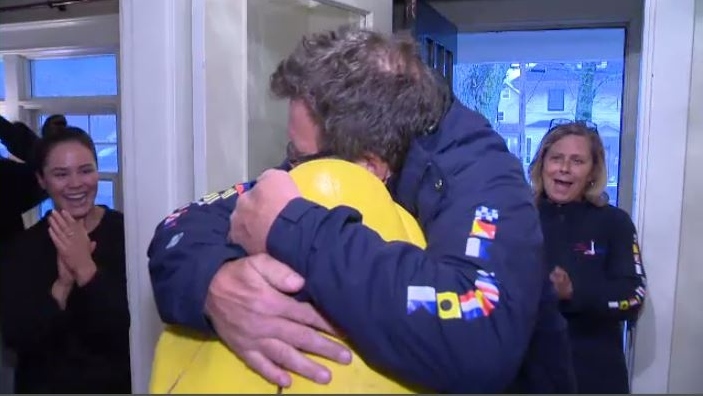 The wooden sailor went missing a few days ago from Peggy's Cove, but Richardson was reunited with Shorty on Saturday evening. After seeing Richardson's plea on CTV News for Shorty's return, and a little investigative work, these university students called Richardson Saturday afternoon with the good news. “We think it was a prank gone wrong,” said one of the students, who didn’t give her name. “We just wanted to ensure that Shorty could go back to his rightful owners and to Peggy’s Cove for all the tourists,” said another. 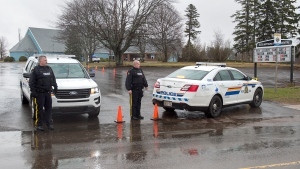 Richardson said the students told him they had heard a rumour that a group of men they know had taken the five-foot-two-inch carving, so they went to the men's house while they were away and removed it. 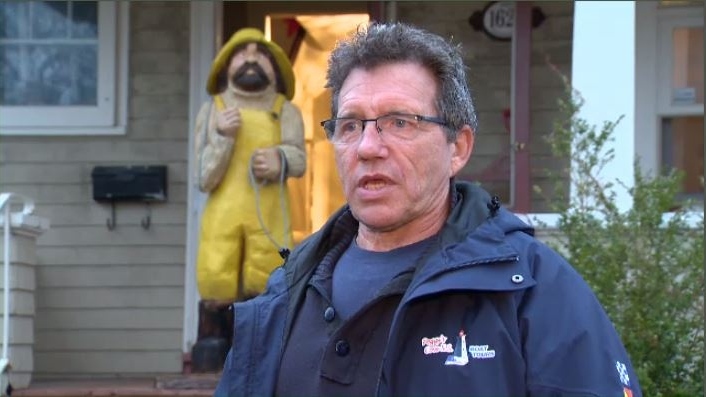 Richardson, who bought Shorty last August for $1,000 to help promote his business -- Peggy's Cove Lobsters -- said the social media attention the carving's disappearance generated hasn't hurt with the tourist season fast approaching. Shorty sure is popular with visitors at the cove. The sailor has been on display since September, where he poses with thousands of tourists for photos. "We drove by about two-and-a-half hours ago coming in and we saw him and said 'No way. That's Shorty,"' said Weiler. "We pulled by just as he was here so it was kinda cool." Richardson says he's working on a plan, so that his thrill-seeking sailor never leaves home again. “I just got off the phone with the girl that carved Shorty and I was commissioning her to carve a Mrs. Shorty, so when shorty came back, he would have somebody to watch, keep an eye on him so he wouldn't wander off,” Richardson said. Richardson says he is grateful Shorty -- and Mrs. Shorty -- will be able to greet visitors together this summer, but in the meantime, it’s a happy ending as this seafaring mystery has been solved. With files from CTV Atlantic’s Suzette Belliveau and The Canadian Press. Peter Richardson, Shorty's owner, gives the statue a hug on Saturday evening when he was reunited with the carved wooden fisherman. These Dalhousie students say they rescued Shorty after a "prank gone wrong." “I just got off the phone with the girl that carved Shorty and I was commissioning her to carve a Mrs. Shorty, so when shorty came back, he would have somebody to watch, keep an eye on him so he wouldn't wander off,” Peter Richardson said.